Honda XR600R – It’s finally here! 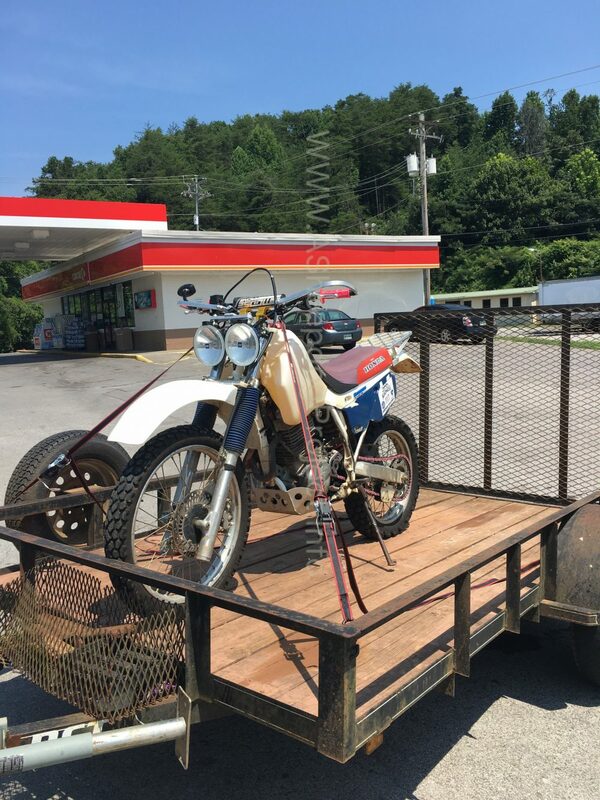 I have wanted a Honda XR600R for many years now, ever since I rode my first one that is owned by my buddy Mike. It’s name is Stampy, named after the elephant in a Simpsons episode because it would go up and over and through pretty much anything like the elephant did in the show. In the pic below Stampy is the bike in the middle. 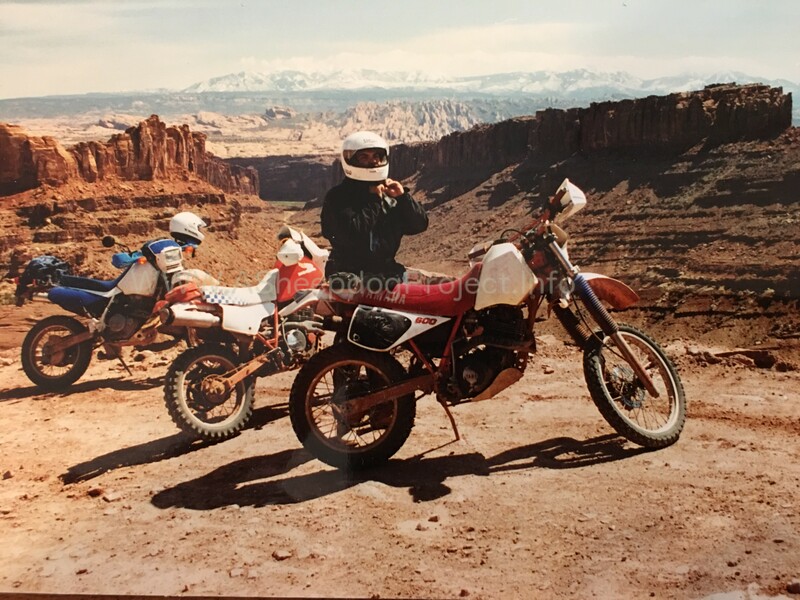 I have had many off-road bikes through the years such as a Honda XL600 and a Yamaha TT600 (the one in the pic above) and a Honda XR650L but never the one I really wanted, The best bike I believe for trail and enduro riding as well as adventure riding the Honda XR600R. Im not going to give you a full history on the bike since you can easily look that up and get a much more detailed one than I can give. Honda started producing the bike in 1985 all the way up to 2000. It has a 591cc Single-cylinder, air-cooled, four-stroke, SOHC, 4 valve engine. It dominated the Baja 1000 races for many years and also the Enduro and Hare Scramble race scene. 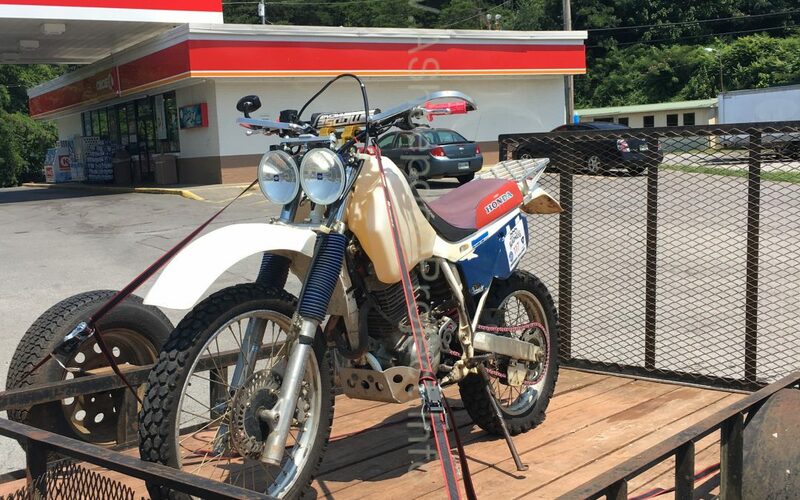 All that said I Finally found one that was already titled for street use.It has had some aftermarket upgrades done to it which some I will keep and some I will remove but this bike and I have a lot of adventures ahead of us, good and bad I am sure. One adventure that I will be getting it ready for is to do The Trans America Trail. If you don’t know what that is it’s a ride created by Sam Correro that goes from the east coast all the way across the US to the west coast in Oregon and is roughly 5000-6000 miles of mostly off-road riding with some street. Anyway Im sure your ready to see the actual bike I brought home so here it is.